About "More Collective Worship Unwrapped"
John Guest is an ordained minister, with nearly 30 years experience in parish ministry, and a professional clown. With over a quarter of a century behind him working in schools, he loves telling stories (particularly to children) and spends much of his time in the ten schools around his parish. John is Rector of St. Margaret's Parish Church, Stanford-le-Hope, in Essex. 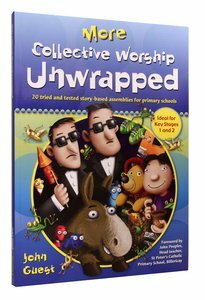 His first book for Barnabas, Collective Worship Unwrapped, was published in 2005.